That's true. I am intrigued now what he did in his 20s. I'll see if there are service papers .. It is shown as renamed in this catalogue? djb wrote: Lot 145 is an intriguing item. No it isn't. I have written to Brian to query the description and the naming so we will see what they say. I would hope they would at least amend their on line description if that in is indeed the case. Perhaps I should add that I have nothing against officially renamed medals as long as they are described as such. 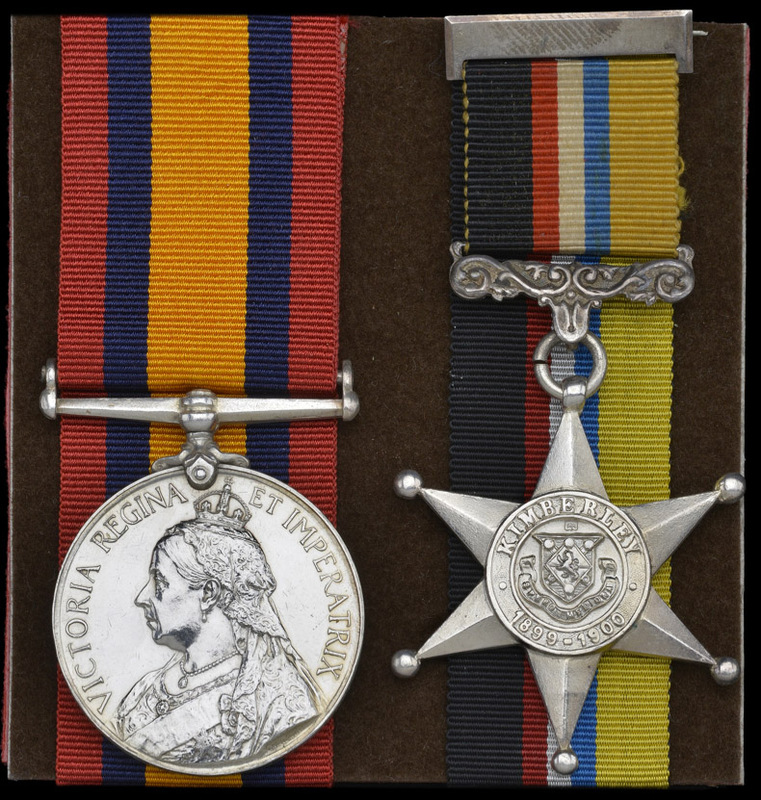 Over twenty years ago now when I was rather puritanical, I bought a QSA to one of the Cape Volunteer Corps from one of the larger provincial dealers here, this particular corps had a good number of renamed medals issued, but, it was not described as such, so I returned it, knowing what I know now, I really wish I had not. 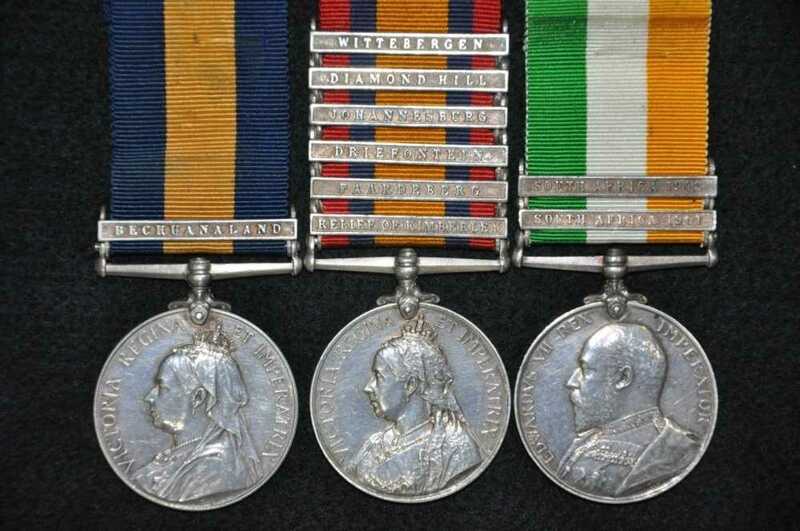 One of my medal recipients has a RoK clasp ,when he should have received a DoK clasp. Tpr Geoffrey Richard Kilroe served from 18 February 1900 to 26 January 1901. He also served in the Kimberley Town Guard at No 2 ( Schmidt’s Breastwork) and the Field Intelligence Department. His Relief of Kimberley clasp is incorrectly recorded on the Damant’s Horse QSA roll, as it was issued. He was entitled to the Defence of Kimberley clasp. His occupation was an amalgamator. KSA, Clasps South Africa 1901, South Africa 1902. Does any member have a photo of No2 Schmidt's Breastwork at Kimberley ?